Delivery time: articles on stock 7 days + shipping time (depending on country of delivery). Not all variations are in stock, but can be ordered - please select your option and see details and delivery time. You find it in the right box, under the item price. Portrait embroidery patch. The embroidery and edges are excellent. 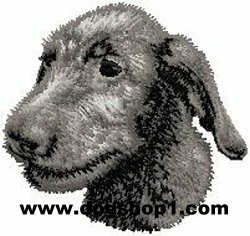 These appliques are of great quality, fully embroidered, and have an iron on backing. For t-shirts, blankets, jeans, tote bags and more. It is perfect for cotton, or lines;/ they are not recommended for leather or non-hot-resistant material.